- Meet in Istanbul airport then transfer to your hotel in Istanbul. - Your tour manager will provide quick revision of holiday schedule. - Overnight in Istanbul hotel. 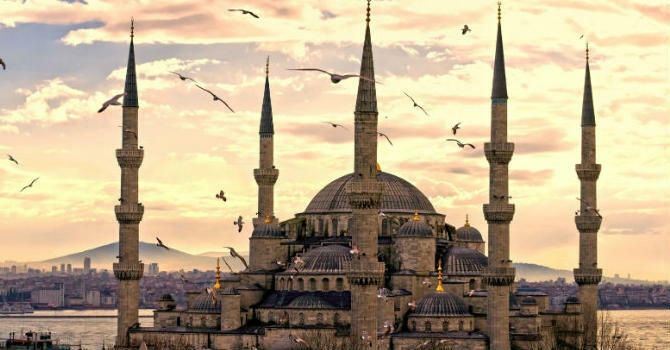 - Breakfast in hotel then enjoy full day city tour in Istanbul. - Transfer back to your hotel and overnight in Istanbul. - Morning flight to Cappadocia, exploring its attractions and historical sights. - Check in and overnight in Cappadocia hotel. - Free morning, you may prefer to enjoy hot air balloon ride. - Afternoon flight to Istanbul, check in and overnight. - Breakfast then fly to Cairo airport then transfer to your hotel.